The Allegheny National Forest spans more than 500,000 acres in the headwaters of the Allegheny River in Pennsylvania. With over 1,000 miles of trout water, excellent hunting opportunities and an extensive trail network, including the North Country Trail, in the ANF and surrounding area draws recreationists from throughout the region. 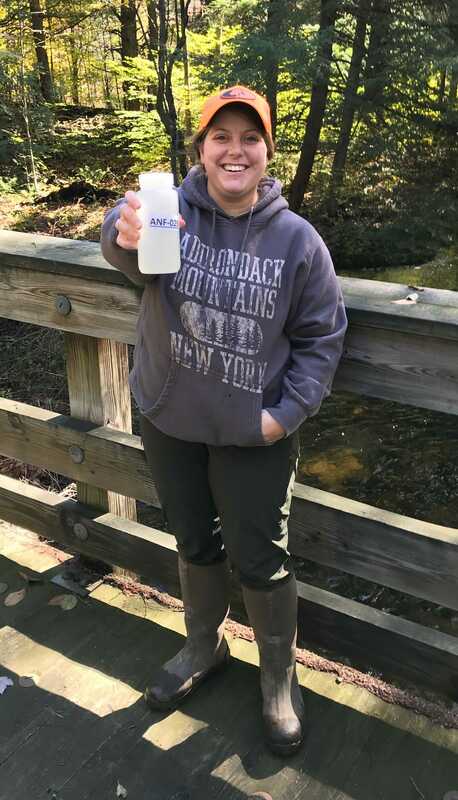 At these synoptic sampling events, citizen scientists, TU and partners blitz the ANF to collect an extensive suite of water quality data on dozens of streams throughout the forest to identify and characterize the distribution of water quality impacts. With limited staff capacity to conduct sampling, citizen scientists have been critical in making this effort possible. Three snapshot events have been held engaging dozens of volunteers to collect data and samples at nearly 200 sites. This work is important because the ANF is a true “Land of Many Uses,” hosting oil and gas extraction as well as an active timber industry. The first commercial oil well in the United States was drilled in Titusville, Pa., in 1859 only 15 miles from the ANF. Since that time tens of thousands of wells have been drilled in the ANF region, with many operating prior to modern environmental regulations. Because of this, there are thousands of improperly plugged wells in the area that may be leaking into aquifers and nearby streams. Permitting and registration requirements for new wells have been required only since 1955, and it is estimated that hundreds of thousands of wells drilled prior to modern regulations remain undocumented in Pennsylvania. The ANF has also received high rates of acid rain over the past several decades, primarily caused by coal-fired power plants. Though the decommissioning of coal power plants in the region has decreased the acidity of rainwater in the ANF today, the excessive historic acid rain has stripped the soils of their acid-buffering capacity, resulting in widespread low stream pH. 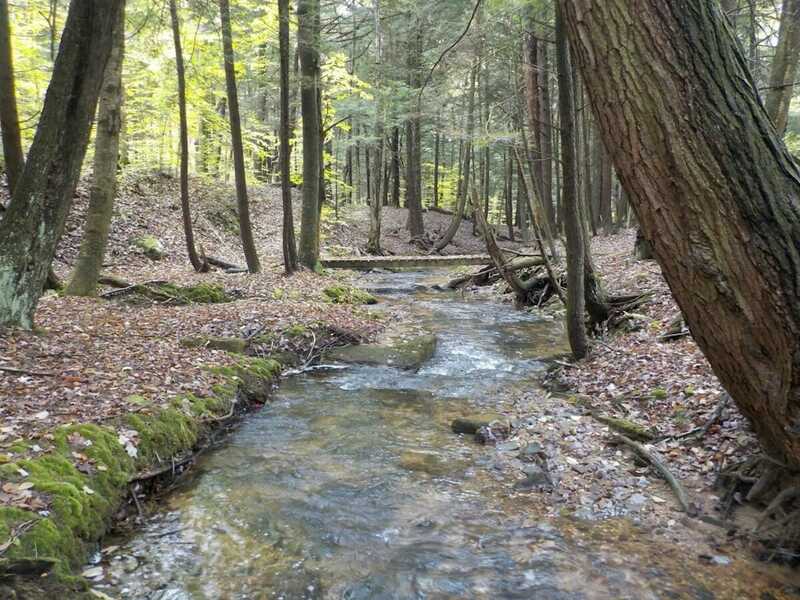 Despite these water quality stressors, native brook trout and wild brown trout promulgate throughout the forest. A better understanding of water quality issues is needed to manage and mitigate these water quality issues for the benefit of wild trout and other aquatic critters. Fools Creek in the Allegheny National Forest. So, what are the data telling us? This can be harmful to aquatic life and these impairments are largely due to the local geology’s low buffering capacity in combination with decades of acid rain. Results from a few sites on the ANF indicate the need to further investigate the cause of elevated chloride, bromide, and methane values. Penn State researcher Josh Woda said previous Snapshot Days and sampling have been successful at providing a glimpse of methane concentration in streams of the ANF. In general, a better understanding of the impacts streams in the ANF are facing and of specific pollution sources allow TU and the US Forest Service to more effectively address water quality issues. This citizen-collected data directly informs management decisions and restoration strategies aimed at improving water quality and fishing in the ANF.